We fell in love with Panama City Beach the first time we vacationed there. We purchased our unit in 2017 and chose Sunrise Beach because of it's location and the amenities. The master being on the Gulf, a bunk room (not bunks in the hall) and parking under the building sold us! Since we spend time here ourselves, we’ve made sure this condo is decorated for comfort and maximum enjoyment. We wanted to create the feel of a “Home at the Beach” for our guests and us. We live in the Nashville, TN area and enjoy spending time with our families. We have 10 grandchildren and several are involved in sports. We spend a lot of time running to ball games but love every minute of it! 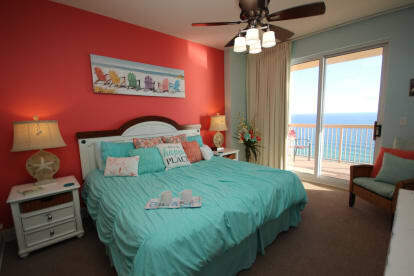 Thank you for visiting our site, we hope you will find our condo to be your "Home at the Beach".